With Kananas software, a fee is defined as a product for sale, so you can refer to the documentation “product sales”. The only difference with another product that you have to define the fee as “Used to membership” in the product file. Thereafter, the product or products that you have defined will be used to check the validity of memberships. This test is performed when the member logs into his personal space. This means that if no such product is found in the member’s basket, or if they have expired, the member will be asked to choose and pay their membership fee. Note that you can use the filter on the contacts to get the list of expired memberships for example. In the case of several types of fees ,you have to create as many products as fees. The member manually adds the product fee to his cart from the store of his personal space. 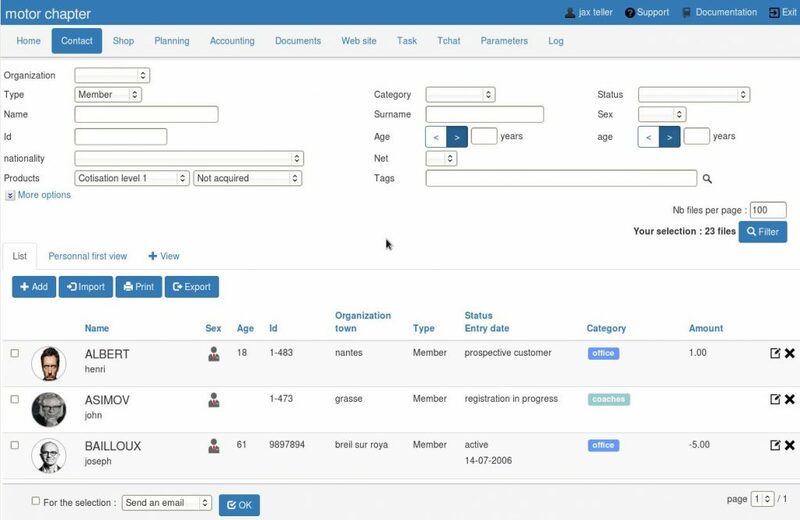 To save time you can automate the management of contributions. By doing so the applicant will have to choose his level of membership and pay it online when applying for membership. After which your file will be created in your back office, the product added to your shopping cart and the payment created in your accounts. Later when his subscription expires, an e-mail will be sent to him and he can then renew his membership and proceed to payment online. 1 – Define one or more products to manage membership: “Shop” menu, then product selection and change the “Used for membership” field = yes. The possession of this product (in the contact basket) will be used by the software to verify the validity of the membership. 2 – Define levels of membership. In “Setup / Online Membership”, add membership levels. In the level definition link to a product created above. To force the online payment of the product upon joining pass the field “Online payment required” to Yes.